Kanye West is wrapped in a big bout of smile while on daddy duty with North West. 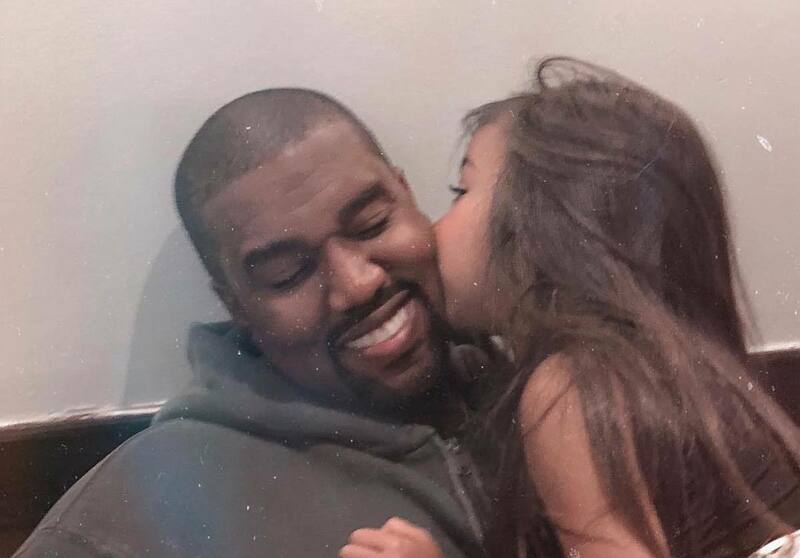 Kim Kardashian shared a photo of Kanye West and North West sharing a daddy and daughter moment and you’ve never seen Ye this happy. I mean who wouldn’t be this happy getting a kiss on the cheek from their adorable baby girl. Kanye West was spotted over the weekend with Kim Kardashian at Pusha T’s wedding in Virginia Beach. The G.O.O.D. Music rapper has remained low key since dropping a series of albums between May and June. He was spotted checking into a hospital in San Fernando Valley over the weekend after battling a severe case of the flu. 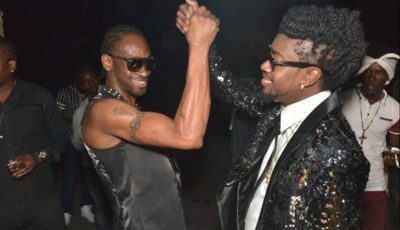 Seems his condition got worst after attending Pusha T’s wedding so he took extra precaution. #pusha got married last weekend to Virginia Williams. Drake rap about it on #duppyfreestyle ?